In this week’s episode Nina Simons speaks with Joanna about: women, Nature and justice; guided by relational intelligence, delight and love; deep inquiry into racial equity; Nature is the Sacred; diversity and indigenous wisdom; an untapped resource, the capacity for women to grow each other into leadership; piercing the shell of white privilege; diversity and resilience; the challenge of reimagining ourselves as part of this cosmic dance; transition into relationship economy; the nexus that makes us unstoppable; ritual creates relationship; imagining everyday the world we want. Nina Simons is an award-winning social entrepreneur and visionary thinker. In 1990, she co-founded Bioneers with her husband and partner, Kenny Ausubel. Over that time she has helped to lead the organization through 29 years of identifying, gathering and disseminating breakthrough innovations that reveal a positive and life-honoring future that’s within our grasp, today. Nina’s work currently focuses on writing, speaking and teaching about women, leadership, diversity, nature, systems thinking, leading from the heart, and restoring feminine in us all. 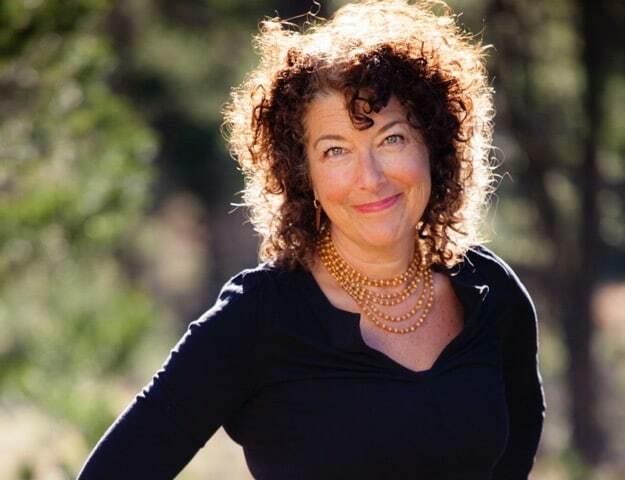 She is the founder of Bioneers Everywoman’s Leadership program and co-created the Cultivating Women’s Leadership residential trainings in collaboration with Toby Herzlich and Akaya Windwood. Her newest book is “Nature, Culture and the Sacred: A Woman Listen for Leadership”.